Veterinary medicine: The medical science concerned with the diagnosis, treatment and prevention of diseases in animals. Aside from diagnosing and treating sick and injured animals, veterinarians prevent the transmission of animal diseases to people, and advise owners on the proper care of animals. 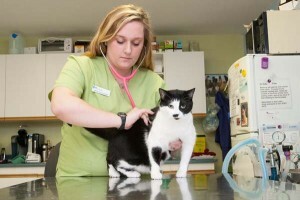 Veterinary school is usually 4 years and requires a prior college degree in the US and Canada. The degree is a DVM (Doctor of Veterinary Medicine).